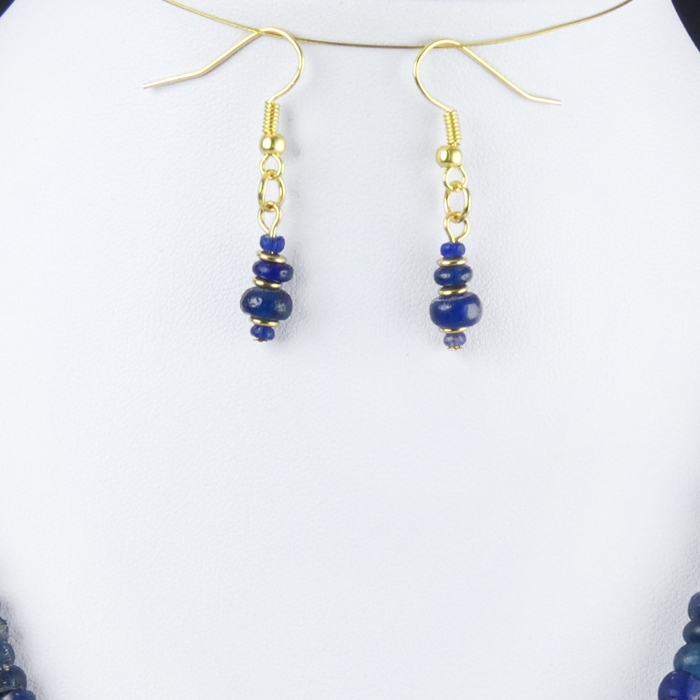 Matching set: necklace and earrings with Roman blue glass beads. Restrung using authentic Roman glass beads with decorative spacer beads and wearable (clasp and hooks). 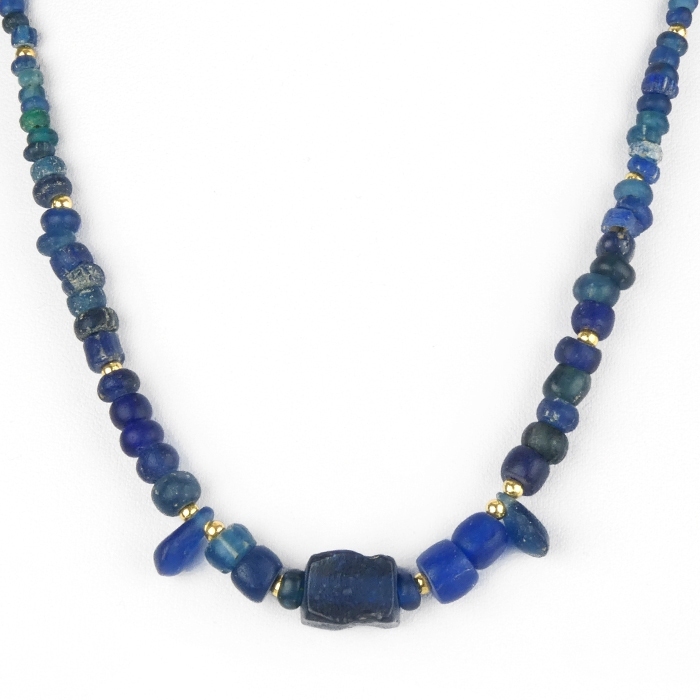 Glass bead jewellery has been popular and treasured through the ages. 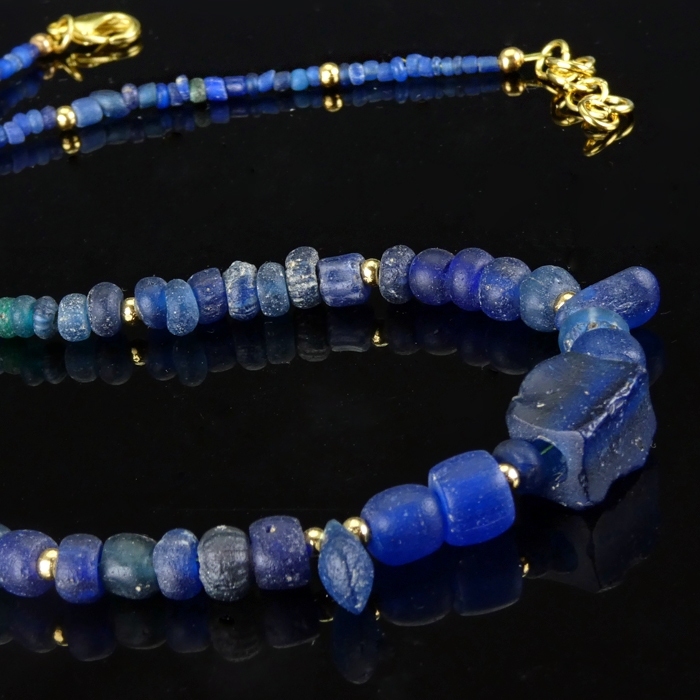 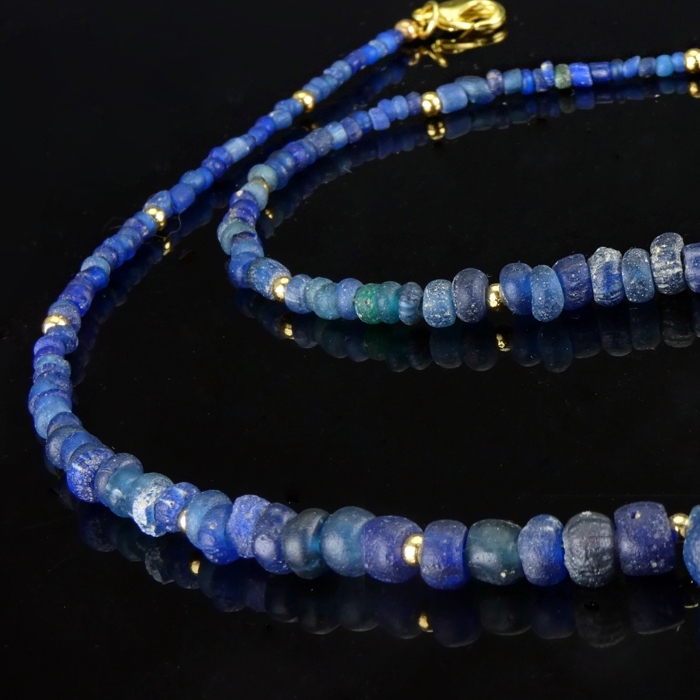 Inspired by timeless classic designs we offer exclusive handmade jewellery with ancient and Roman beads at affordable prices. 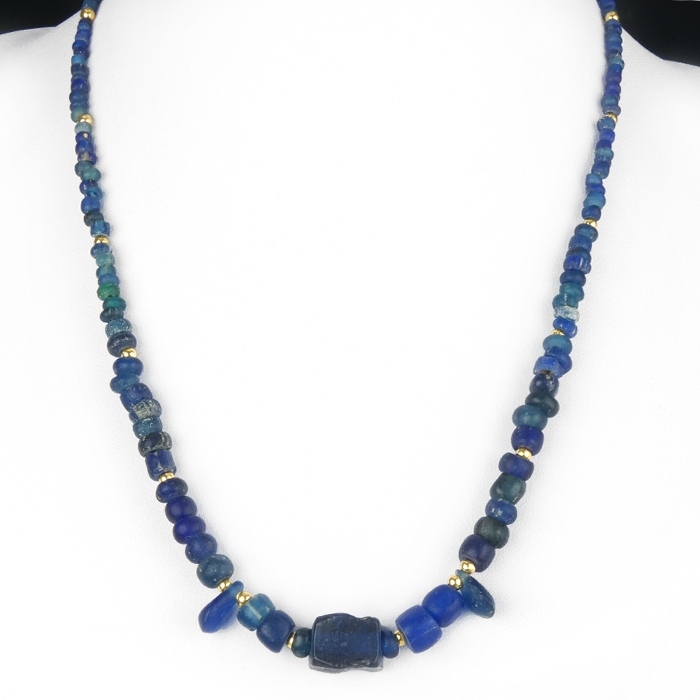 A variety of contemporary techniques and materials are used to bring the ancient beads back to life, resulting in a versatile selection and styles to choose from. 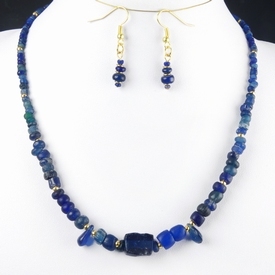 Browse our large selection of bracelets, earrings, necklaces and pendants for other matching pieces which can be worn together. 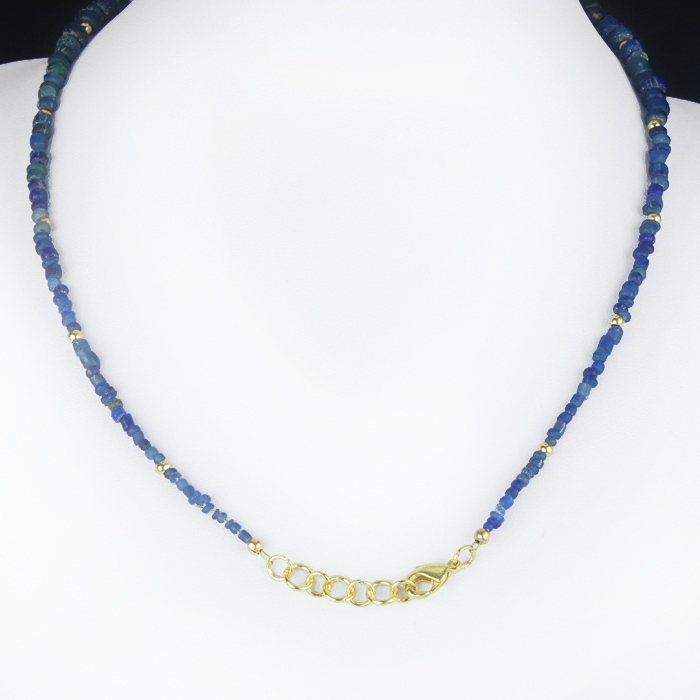 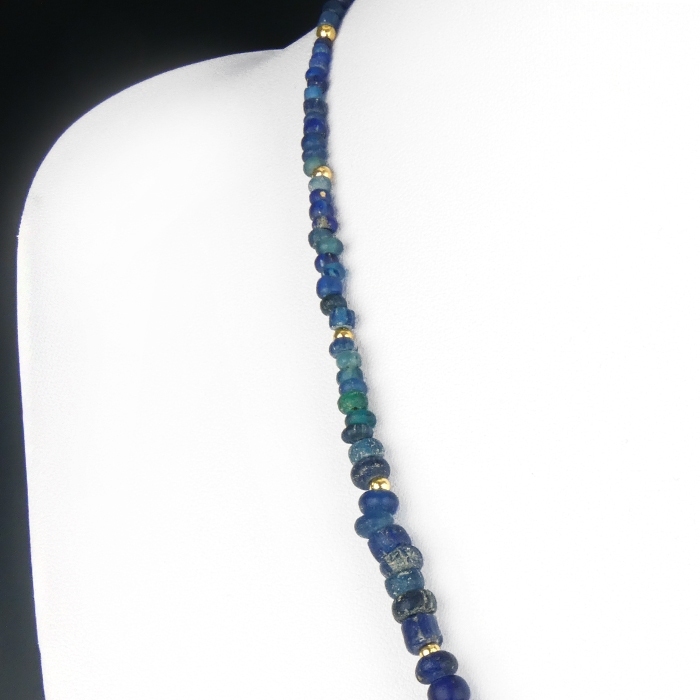 All our beaded jewellery is restrung with contemporary stringing material and fasteners to make it wearable or to facilitate putting it on display. 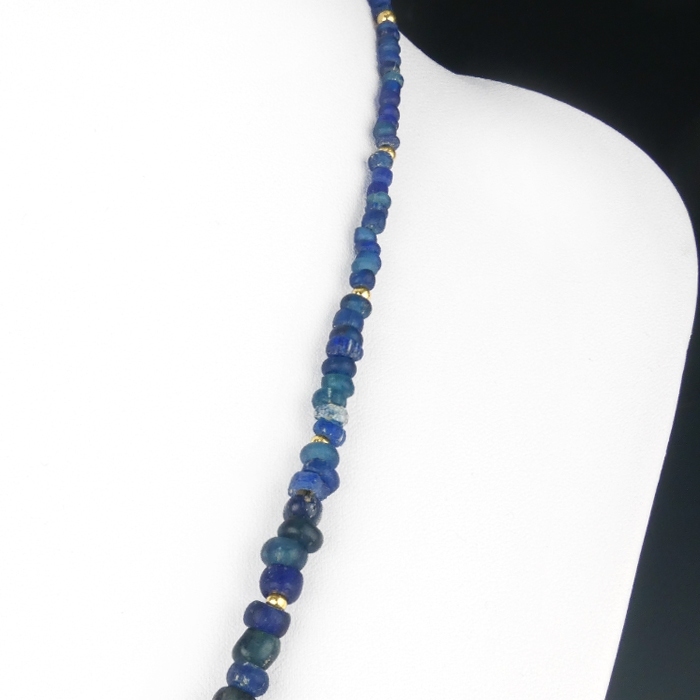 All spacer beads, hooks, fasteners, etc. 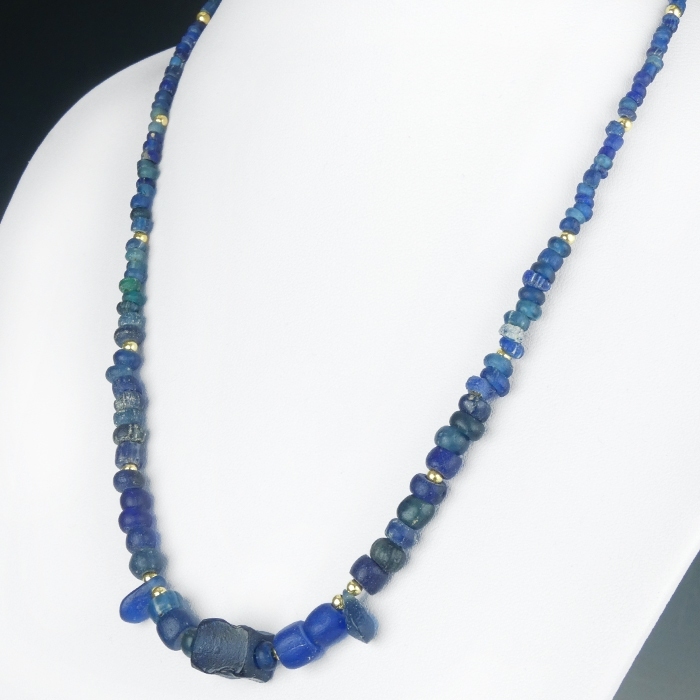 are Designer Quality and nickel free.